Reddish pour with a hint of orange coloring. Highly carbonated. Aroma and taste have a strong fruit presence with the apple flesh the dominating characteristic for both with a slight hint of funk. Sampled at their Port Townsend tasting room. This is their newest release, a Methode Champenoise version of Glow, and a very limited release of 454 bottles ($38 each). 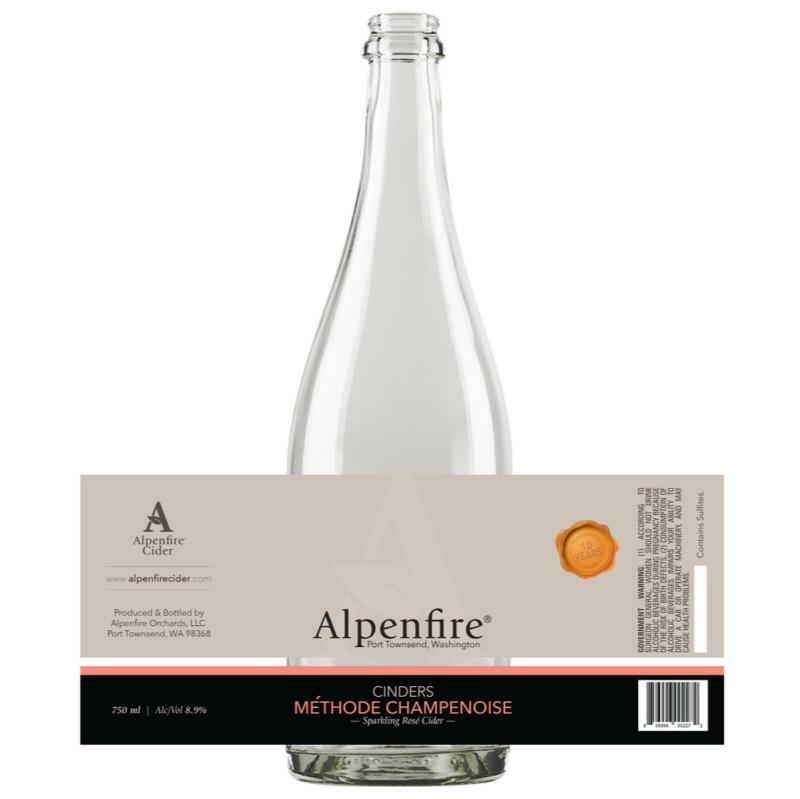 Methode Champenoise is an old world labor-intensive way of making a naturally carbonated champagne-style cider. It involves secondary fermentation in the bottle, daily hand turning of bottles on a riddling rack, and manual disgorging of the residual yeast sediment. It smells more yeasty than fruity to me. I was surprised how dry the Methode Champenoise made it. The flavor seemed mild, especially compared to Glow. A completely different cider.